Continue east from Bar on D2210 in the direction of Pre du Lac. As you enter Pre du Lac take a sharp right onto D3 and begin twisting your way up to one of the most beautiful villages in France, Gourdon. The drive from Pre du Lac is extraordinary and offers remarkable views of the entire coastline. Alfred Hitchcock thought so too. 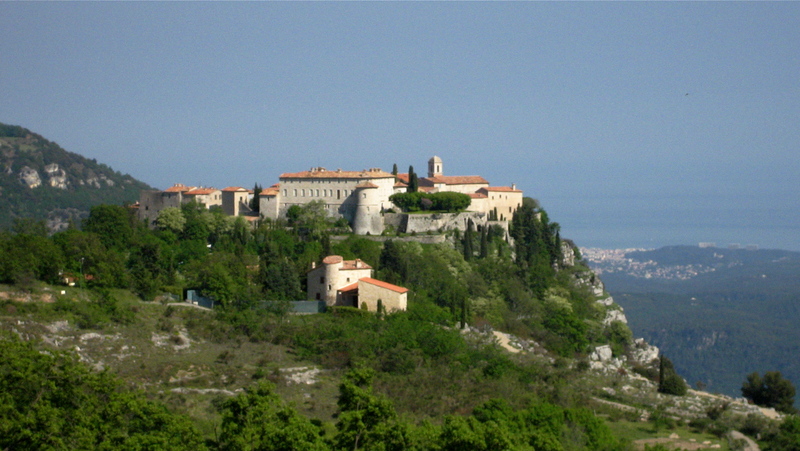 Gourdon is prominently featured in his film To Catch A Thief. 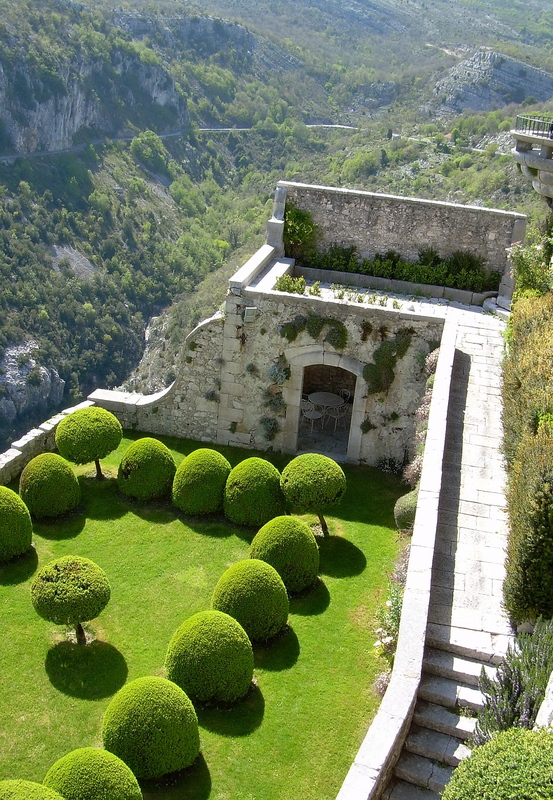 Many tourists visit Gourdon each year, but few know about the gardens of the Chateau. Located at the western edge of the village, the perfectly manicured Italian gardens offer a welcome respite. There are also two very interesting museums inside the Chateau. Open every day from June 1st to September 30th from 11 a.m. to 1 p.m. and from 2 p.m. to 7 p.m.
From the 1st of October to May 31st – open from 2 p.m. to 6 p.m. Comfortable and affordable, this restaurant/bar/tabac below the main village has a friendly atmosphere and a lively clientele. In warm weather try to get a table outside. From the roundabout just below the entrance to Gourdon, take a right onto D12. This is where it starts to get really interesting. Wind your way up through the dramatic moonscape to the Col de L’ecre on your way to Caussols. Located at 1,100 meters on the wide Plateau de Caussols, the tiny town of Caussols has few inhabitants, but a good restaurant, the Auberge de Caussols. To the north you’ll see the Observatoire du CERGA which specializes in measuring movements of the Earth and developing astronomical instruments. CERGA can be visited at any time, either on your own or with a guide during July and August. From Caussols continue on D112, turn right onto D112A, then follow it to D5. You’ll be coming off the Plateau de Caussols and will soon see, off to your right, the Loup River as it cuts through a deep, lush valley. Enjoy the scenery, you’re now in the heart of the back country. Follow D5 until it intersects into D2, and take a right. Few people know that this section of D2 has been seen by millions of film buffs. Director John Frankenheimer used it during a car chase scene in “Ronin“, a white knuckle thriller starring Robert DeNiro. See the clip here. It’s also featured in James Bond’s “Goldeneye” (clip here beginning at 2:15). D2 will eventually take you through Greolieres, a beautiful village overlooking the wind-swept valley. It’s possible to walk through the charming town in a few short minutes, but I recommend staying longer. Greolieres has two fine restaurants worth mentioning. Specializing in wood fired pizzas and regional dishes, La Barricade is always a solid bet. Excellent local dishes and a warm welcome by Marguerite and Patric. 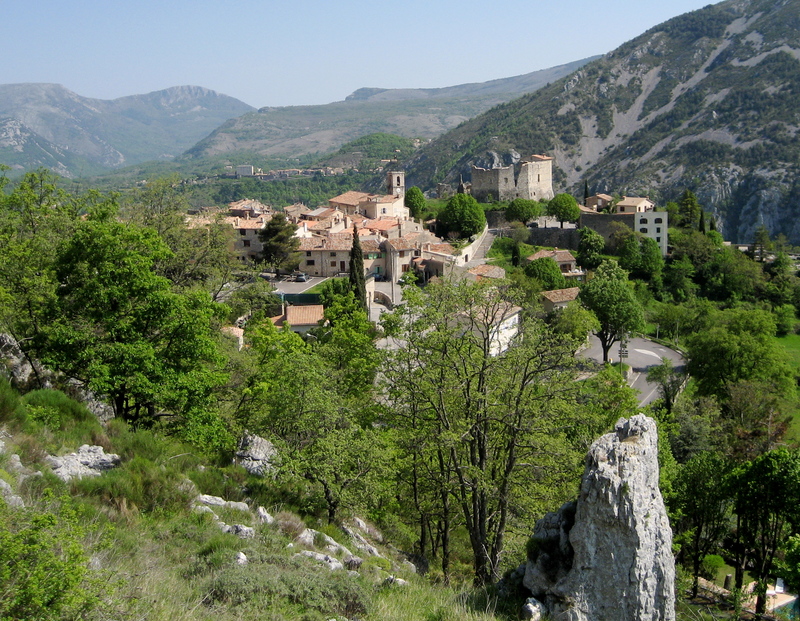 From Greolieres, catch the D3 heading south into the Gorges du Loup, a stunning canyon carved out by the River Loup. 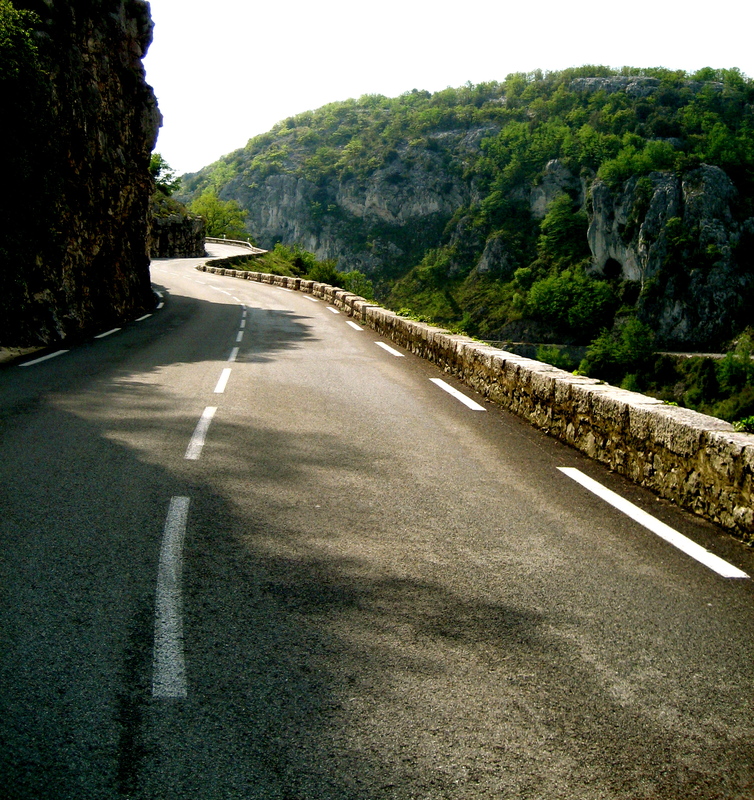 Once through the Gorges you’ll find yourself back in Pont du Loup. Not a bad day, n’est pas? Le Stuff – Can you suggest a great drive along the coast from Nice to Monte Carlo? Is one of the “Corniche” drives better than the others? And what kind of car do you prefer for driving in France?